Discussion in 'Femmes' started by Vini, Oct 27, 2009. She just arrived at Eastern Models today and arrived by mail a few hours later (or not even). She made their day there and didn't take time to make ours as well. 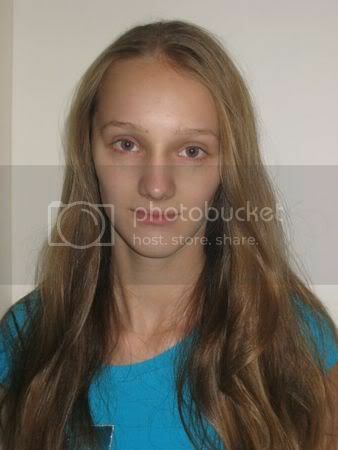 16-years-old Milena has got this kind of face you can't forget after one second only - eye-catching then immediately haunting. Light speed appeal and limitless potential mixed to a perfect 5'10"5 (179) silhouette. 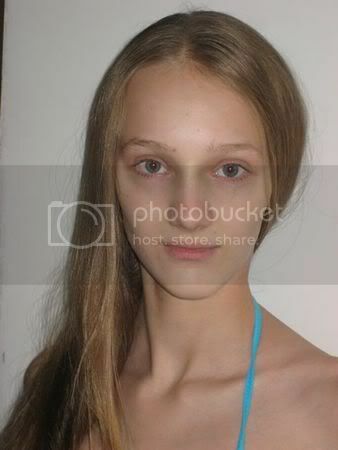 Quite a raw and innocent look at first sight, with this unique bone structure we might have not seen for months and some thrilling possibilities for this prospect to develop into a great model in a near future. If there's always room for improvement at this stage of a career (first day, please! ), there is also room for excitement. Right now. in my opinion is impossible to propose as a model. Here she goes again. Remember Milena ? We don't think you could have forgotten her since last time. Unusually beautiful as she eyes, she's the perfect example of the girls that caught your eyes, attention and don't leave your mind very easily. Sharp features, melancholic gaze and golden locks, the lovely young lady from Eastern Models in Warsaw just shot her first tests with the one and only Lukasz Zietek and, guess what, she works it out as if she's been modelling all her life. We love her there/not there expression, out of a dream. But she's for real. 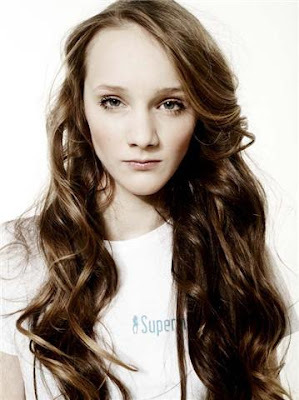 She's cute, reminds me of Kasia Lendo / Avant-Poland. Very similiar!